"Good enough, is NEVER good enough." I didn't really get it, until she explained how much she disliked when students would ask if something was "good enough." She continued with, "If you have ask if something is "good enough," it isn't." Isn't that so very true? I never forgot that moment, even though it was (gasp) twenty years ago. That year, I'm certain I learned many important lessons, but that is the one I remember. The one I took with me. Since that day, and now being a mommy, I've realized how much I also dislike those words. I don't like it when they are asked about homework, about cleaning a bedroom, weeding the yard or anything. They represent work done half-heartedly, which drives me nutty. If it's worth doing, do it right and do it well. What a tough lesson to teach my kids. It's a difficult line to walk, the line between doing the job right and your child feeling like you're a total drag, or even worse, that they aren't "good enough." I'm on my kids about manners, and keeping their rooms tidy. They have to finish homework and read before bed. I stick with gentle reminders, since I understand how overwhelming remembering everything can be. I'm lucky if I remember my underpants. With my reminders, I remind them to do the job well. Write neatly, shake hands firmly and keep that laundry folded when it goes in the drawer. My kids don't have to be perfect; they have to work hard. I want them to show effort, to leave everything they touch better because they were there. There is no asking if anything is "good enough." Do your best and leave your mark. Anything worth doing is worth doing well. Have a fab Tuesday everyone, make it wonderful! Where Have all the Soap Operas Gone? Growing up I have many memories of my mother sitting at the edge of our kitchen counter, lunch in front of her, watching All My Children from one to two every afternoon. She was hooked on the trials and tribulations of everyone in Pine Valley, and still to this day loves Erica Cane. Naturally, as I got older, I became hooked as well. I remember one summer, when I was in seventh or eighth grade, I was glued to the television alongside her every afternoon. These were the days of Palmer and Opal, Erica and Dimitri and my all time favorites, Tad and Dixie. When school started in September, I set a VHS to record All my Children. I watched every day after school. I can't remember when Tad and Dixie were heating up, but I do remember one particular episode that my mom picked me up from school early to watch with her. We were beyond addicted to the crazy story-lines and extravagant characters. I was heartbroken when after nearly 42 years, All my Children went off the air in 2011. I felt it was the end of an era, a time when women indulged in soap operas that were so unbelievable they provided a mid-day escape from hectic lifestyles. The good news is that All My Children, and One Life to Live, are returning on Hulu and Hulu Plus starting April 29th. The all new episodes will be 30 minutes long, and many of the original cast members will return. Hulu makes watching and enjoying your favorite shows easy, and the service is FREE. Sign up online, and you can watch the latest episodes on your computer. Hulu Plus is $7.99/month, and it makes watching your favorite programs easier than ever. You can stream shows through game consoles, laptops, ipads and even smartphones. Imagine the convenience of watching your favorite shows on-the-go, never missing an episode because you can't get home in time to watch? Hulu Plus also offers full access to their online library, which features complete series episodes of top television hits. Best yet? You can try it for free for one week by signing up online here. I'm excited to tune in and get lost in the lives of all my favorite Pine Valley characters from the past, and the new characters set to join the show. Watching and caring for four kids all day is mentally exhausting, and I need "me time" to unwind and recharge. Thanks to Hulu, I will be enjoying All My Children again, one of my ultimate guilty pleasures from the past! Which characters do you miss the most from the old show? Don't forget to comment below because one grand prize winner will also win a Roku! I'm tired today. The moving adrenaline is waning and life is returning to normal. We have homework, laundry, activities and new after school routines. We have new before school routines. Actually, we have new routines from sun up until sun down. It's a lot to get used to. Along with the adjustment of new routines, I have to adjust my parenting style once again because I have kids in different stages of moving acceptance. I've been blessed so far, since all my kids have been rolling with the punches. They've met new friends, joined new teams and they're enjoying life in the country. But there are times they need more from me, and it's tough to tell when they need it. One minute we're all smiles, the next we're feeling uncertain and missing friends. I don't think anyone who is not a parent could ever understand what parenting entails. It's mentally challenging, physically challenging and most of all, emotionally challenging. Is this the right thing to say? Is this what he/she needs? How do I help? How do I fix this? Should I try to fix this? There are constant questions. You never know what is best, and even when you think you know you second guess it until the outcome appears. We try to do what will benefit our kids in the long run. We try to envision what will be best, even if it's not easy. We try to hold our brains and wits together even when we have no brains and wits left. The finish line is never, and it's tough to explain how much we love it and how much we need five minutes alone. This parenting stuff is not for the faint of heart. Cheer to all the parents out there. I think I need a nap, and to set up a few carpools. Oh, toss in some new curtains. Starbucks anyone? And then I shall continue to adjust to the new routines in our new house in our new town. Happy Friday. So glad it's here! Before everyone gets their knickers in a twist, I'm not single. I am still married, still settling in the country and still madly in love with my heated blanket. Hubby's current job, the one that brought us to Pennsylvania, forced us to adjust to a living situation that we weren't accustomed to. For five months, Hubby lived all week in Pennsylvania, and I stayed in New York with the kids. He drove home on the weekends, but I did all the parenting Monday thru Friday, 24 hours a day. I must admit, I didn't mind. Yes, it took a lot of planning and patience. But I did have help from my mother (bless her heart) and friends. I also love being home with the kids which made this adjustment easier on me. Living here in Pennsylvania, Hubby travels more than he did when we lived in New York. I have him here most of the time, but there are days he is away in North Carolina, or Maryland, or who knows where he goes. Needless to say I'm still good with doing the parenting. But it is exhausting. There's a lot of driving and planning ahead. There is also a lot of Starbucks. I don't even talk to Hubby much when he is away because there is little time. Whenever he is able to talk, it's either breakfast/bus time, feed toddler/naptime or the dreaded after school through bedtime. After I am finished with all the time slots, I am tired and ready for television and dessert. Most times I just skip dinner. The point of this post is to send a HUGE shout out to single moms everywhere. I get it. And it's not easy. Cheers to you and all your hard work. You are an inspiration to us all. 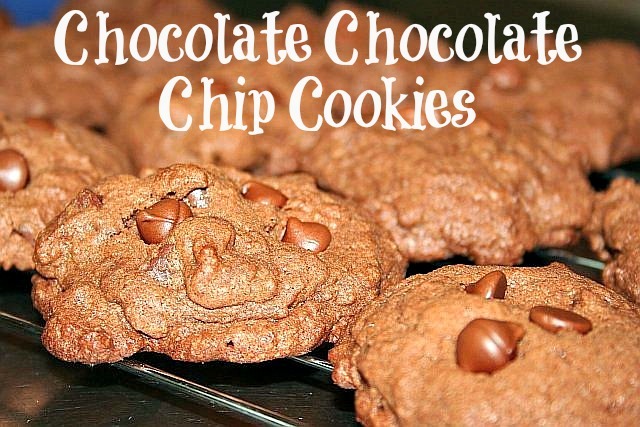 Warning: DO NOT make these cookies unless you love chocolate. If you underbake them just a tad, like I prefer to do, they are fully of gooey goodness. If you don't underbake them, they have a "cake-like" consistency. I feel it's a win-win. I am not a fan of the crunchy cookie. I know many who are, it just ain't my style. Anyhow, I feel these are very well suited for an after school treat. Or you could bake them and bring them to a Spring picnic or party. Even better just do what I do, which is bake them and set them on your counter, and eat one every time you walk by. Whatever floats your chocolate-loving boat. 2. In a large mixing bowl, cream together the butter and sugar until light and fluffy. This should take about 5-8 minutes. Add the eggs one at a time and mix to incorporate. Add the vanilla and mix thoroughly. 3. In a 1 gallon plastic food bag, place the all-purpose flour, baking soda, and cocoa powder. Seal the bag and massage the ingredients to combine. 4. 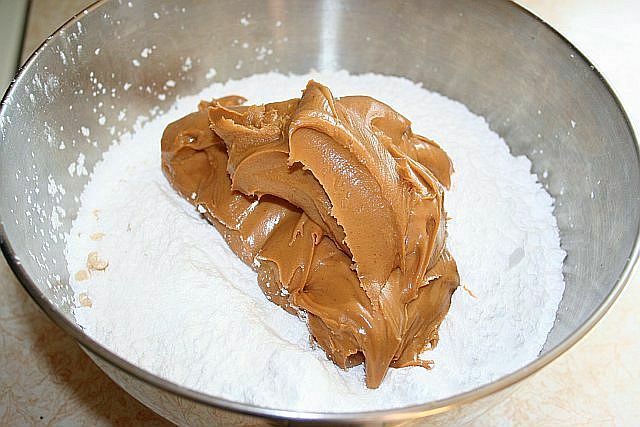 Add the flour and cocoa mix to the creamed butter and sugar. 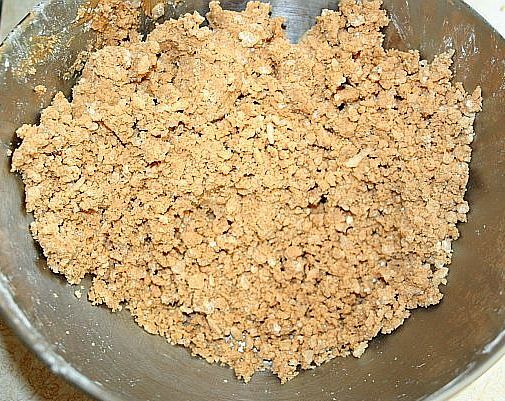 Mix together until the dough appears completely combined (approx 3 min). Add chocolate chips (and walnuts, if desired) and stir them into the dough. Drop by tablespoons onto an ungreased cookie sheet. Or roll into balls, place about two inches apart on the sheet, and flatten slightly with your fingers. 5. Bake for 10-12 minutes. The cookies will appear to be just barely firm. I highly recommend underbaking just enough for the center to be a tad undone. Let cookies sit and set on cookie sheet and extra 2 minutes before transferring to wire rack. Eat one fresh and gooey. When cookies cool the gooey centers will become soft, chewy and heavenly. Once cool, store in airtight containers. I've been sleeping in my new house, in a rural area of Pennsylvania, for just about a week now. There are still boxes to be unpacked and I haven't yet acclimated to the smell of fresh manure. As with everything, it will take time to adjust. The past few days, as I've been traveling around my new town and surrounding areas, I've realized the pace here is slower than what I'm used to. It feels good. There is less hustle and bustle, and I can't say I've met anyone who really cares what you drive or what you're wearing. Speaking of what people wear, "camo" is rather popular round these parts. Tonight, after two rather exciting little league games, we stopped at a drive in restaurant for "supper." We ate grilled cheese "baskets" and ordered ice cream to go. The restaurant was filled with little kids in uniforms and cleats, and older couples having dinner. The atmosphere was laid back, and the food was inexpensive. When we arrived home, there was fresh sausage in the freezer. Puzzled, I asked Hubby where the sausage came from? He told me the neighbor left it on the deck. He knew this because a friend came to mow our lawn as a "housewarming" gift while we were at little league. Knowing we still need a tractor, he drove his truck over, loaded with his tractor, and perfectly mowed our acre of property. As he was mowing, the farmer across the street dropped of fresh sausage. I must admit, I could get used to this. I'm thrilled to say the kids are adjusting fabulously as well. I feel like I can finally breathe and begin to enjoy the scenery. And the people. And the fresh sausage. Country livin' ain't half bad. As a matter of fact, it's pretty awesome. Wishing everyone a wonderful Sunday, and an even better week ahead! We're here. We walked through the back door of our new home Monday and we've been settling in ever since. Along with our new address, we have new schools, new stores, new friends and a new phone number. We have new bath mats and towels, new neighbors and new sports teams. There is a lot of "new-ness" going on around here. There is much to get used to, and it's been an adventure thus far. Living in the country is a nice change of pace. Definitely good for the blood pressure. I think I'll even get used to the aroma of manure before the end of the summer. All we need is a drive-thru Starbucks and I'll be good. Hope everyone is having a grand week. Cheers, it's almost the weekend! It's official. This move is the hardest thing I have had to do since becoming a parent. It may be the hardest thing I've had to do ever. It's not easy to keep marching, keep moving, keep smiling even when you know the road is long. It's a challenge to keep calm and reassure your kids over and over and over again....especially when you are struggling with the answers yourself. Uncertainty is a difficult state of mind. I've told my kids they will make friends and play on teams and that in a year they will be okay. But the truth is, I can't be certain of any of that. I can only keep marching, keep reassuring and guide my kids where they need to go. Yesterday was our last day at our elementary school, middle school and gymnastics team. I "see ya later-ed"dozens of friends and packed up dozens of boxes. I watched my kids hug dear friends and I unpacked backpacks filled with handmade cards. Some kids even bought them presents. To anyone who has ever navigated kids through a difficult transition, I understand the pain. I understand the sadness and the exhaustion. I also understand that we can't stay in the same place forever. We all move on to new places eventually. And we never know what is around the bend when we move on, it's all about taking that leap of faith. It's about doing what is best, not always what is easy. Well, we're leaping. We're keeping calm and carrying on, and we have faith in the road ahead. Happy trails. I'll see you all in a few days. 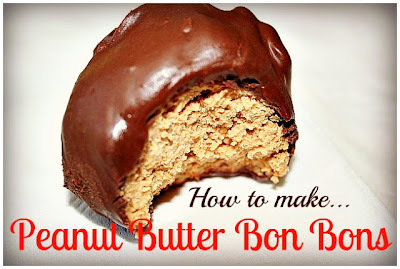 I am re-posting this recipe because I love to eat bon bons. It's that simple. My love affair with peanut butter bon bons started years ago, and it's safe to say I'm still quite passionate about them. I concocted this recipe by just mixing three ingredients: Krispy rice, confectioner sugar, and peanut butter. I adjusted the amounts until it was the perfect amount of crisp and the perfect amount of cream. 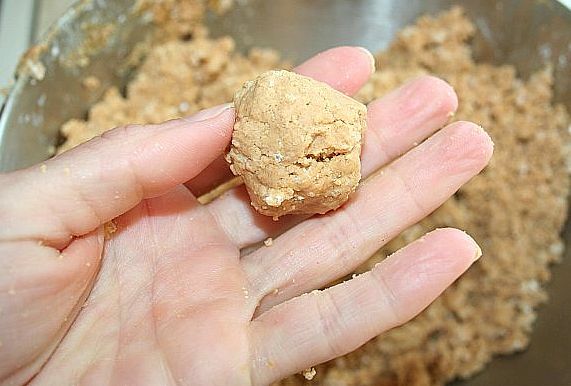 The toughest part of making these bon bons is that your hands will get tired and quite sticky. Have your pans lined and everything within reach to insure you don't get peanut butter smeared fridge and cabinet handles. Line cookie sheet with wax paper, set aside. 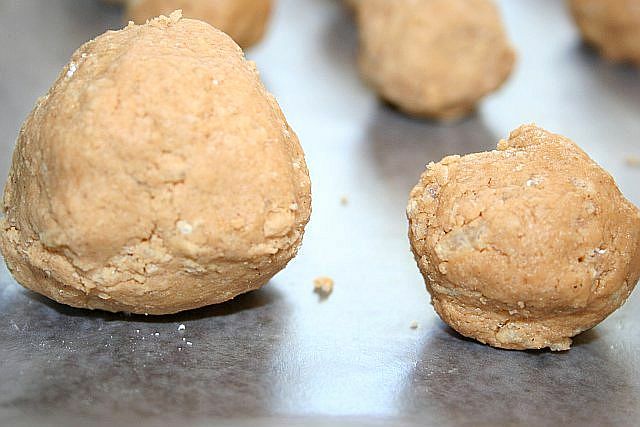 Mold the mixture into balls the size of golf balls. This is when your hands will tire. I guarantee it. Work through and keep your eyes on the prize. Place bon bons on lined cookie sheet, about 1 inch apart. Before you finish molding all the bon bons, make a giant baseball sized one for yourself. You'll thank me later. 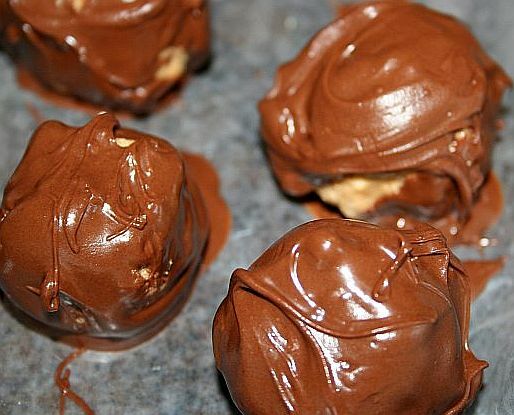 Chill bon bons in fridge as you melt your chocolate. After your chocolate is melted, dip bon bons one at a time and place back on cold cookie sheet. I use a spoon to handle and dip the bon bons. Place the bon bons back in the fridge to set the chocolate. 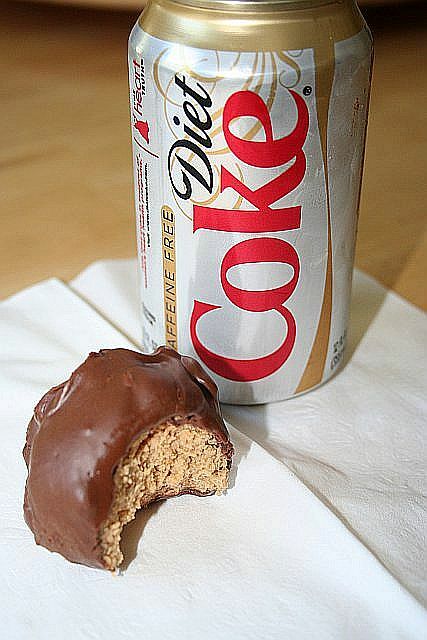 After you are finished cleaning up your kitchen (or before, whatever floats your boat) grab that giant softball shaped bon bon and an ice cold beverage. My friends eat these with milk, but I'm an aspartame girl. Enjoy! And make sure to hide some for yourself...these will be gone once word gets out they are in the fridge! For the first time in a long while, I am feeling good about our move. I'm not saying I felt "bad" about it, just sad. I spent many moments wondering what the future held and worrying how my kids would handle this huge transition. There was a lot to digest and to experience before I could wrap my head around moving my kids to a new state. Because as all moms know, all that matters is my kids. These past few weeks, we've been able to say goodbye to friends and spend time with faces we will miss greatly. I feel we've been gaining closure as each day passes. With a closing date set, and a last day at school set, my kids are understanding this move is happening. Soon. I may be completely delusional (okay, I am most days), but I think the kids are feeling better about this move as each day passes. They know this isn't goodbye, just "see ya later. " They know there are more friends to be made and more teams to play on. It's easy to get stuck in one place, believing there is no place else to be. But the truth is, change is constant. And I need to believe that this move will open their eyes to new people, new experiences and that it will give them the tools they need to navigate all the changes they have ahead of them. Life will take them many places. Pennsylvania is one stop on a long road. My oldest is eleven, and he emailed all his teachers about his last day. His favorite teacher emailed back words that stuck with me. And with him. "You are going places. And I'm honored to have been a small stop on your journey." Our journeys are long. There will be many stops along the way. And this move is just another transition as we continue to see what life has in store for us. To my dear friends who have helped us throughout these last few months, thank you. And to our dear friends we have in Pennsylvania, let's get this party started. One more week to go. Wish us luck! A few months ago, I saw these wooden pictures on Pinterest. 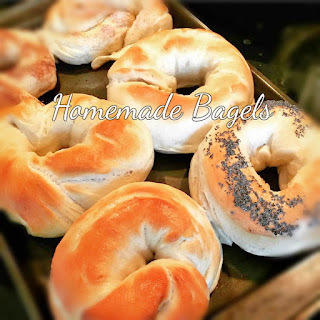 I thought about making them about a dozen times before I pulled the trigger and tried them. The good news, they are super easy. The bad news? I am totally addicted. I can already see every wall in my new house decorated with wooden pictures of just about anything and everyone I know. 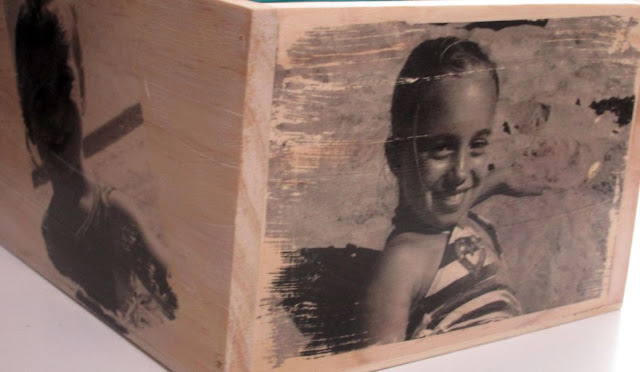 I made wooden picture boxes with unfinished boxes I found on clearance for $0.90/piece. 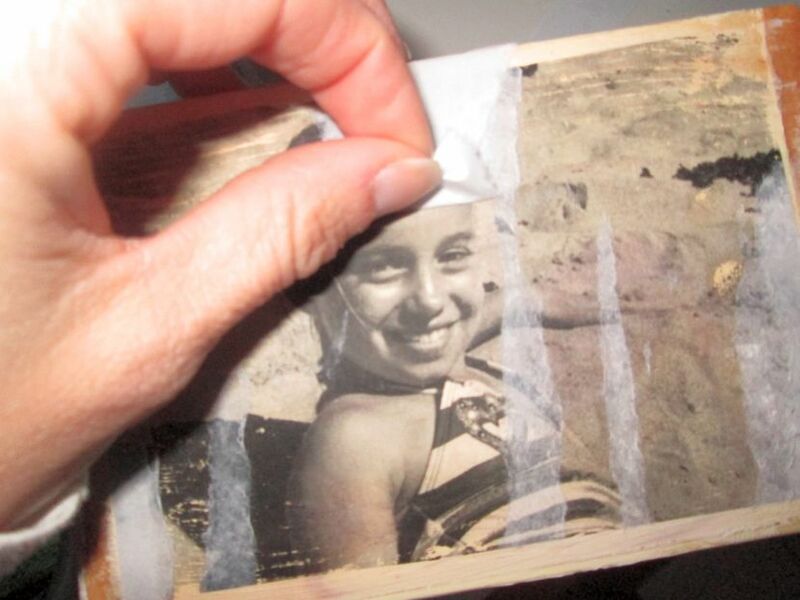 Transferring the pictures was easy and painless, and the results were extraordinary. 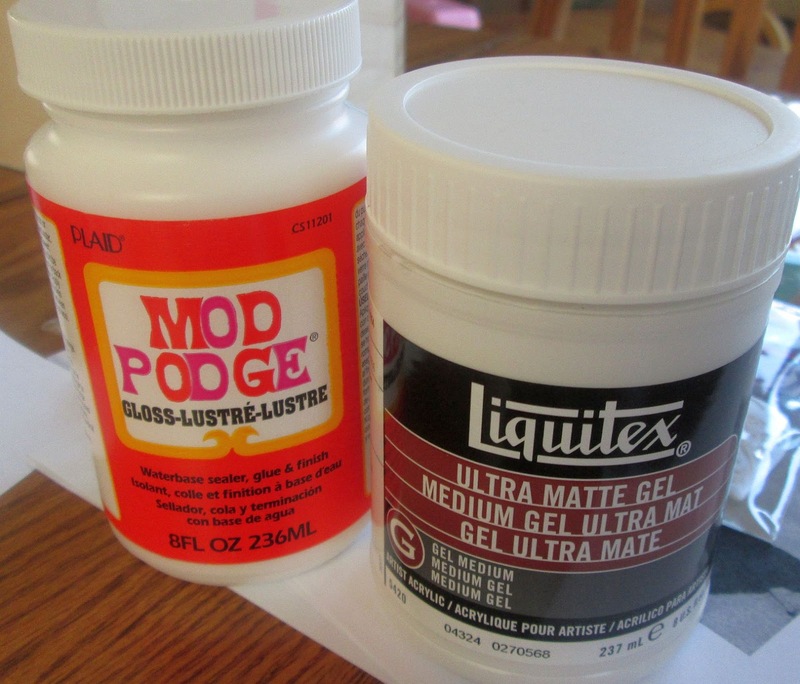 You also need gel medium, modge pod and foam brushes. 2. Line your workspace with newspaper, since gel mediums and modge pod can be messy. Trim your pictures as you like and make sure everything will fit nicely on wood surface. 6. 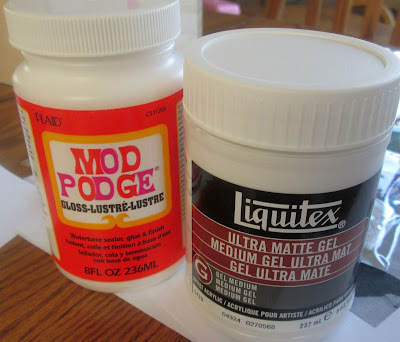 Allow to dry, and use a foam sponge to apply modge pod over entire surface to finish your project, I used glossy modge pod, any finish works great. These projects are great for gifts, sleepovers and home decor. The possibilities are endless. Over Easter, my lovely sister was home from Chicago. She is hip and single and in her 20's. She has an apartment, goes to the gym and eats things like kale. I have read about kale in all those dozens of health articles on Yahoo. It's a superfood, one of those foods super rich in nutrients that is packed with health benefits. I never, ever considered eating it. I figured I'd stick to blueberries and sweet potatoes. Two other superfoods that are much more my style. Today for lunch I decided on a salad. After enjoying a venti Frappuccino for breakfast (it was fabulous) and knowing I am eating ice cream tonight (I decide important matters ahead of time), I knew something light and healthy was necessary. As I was digging through my mom's fridge, I saw it. My sister's giant bag of kale. 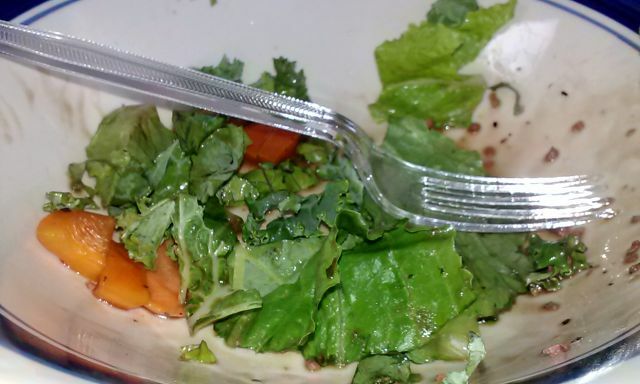 I added a few handfuls of kale in between my carrots, romaine, tomatoes and bacon bits. While it wasn't awful, it wasn't anything to write home about. I'm pretty sure the bacon bits salvaged the salad. Without them and the delicious balsamic, the kale tasted like lettuce, only "leafier." I will also add that if you eat crap like kale all day, I wish you the body of Jillian Michaels. If anyone saw the interview with Jennie Garth recently about losing 40 lbs at 40, she mentioned how much she loves beets. Jennie, enjoy your beets. 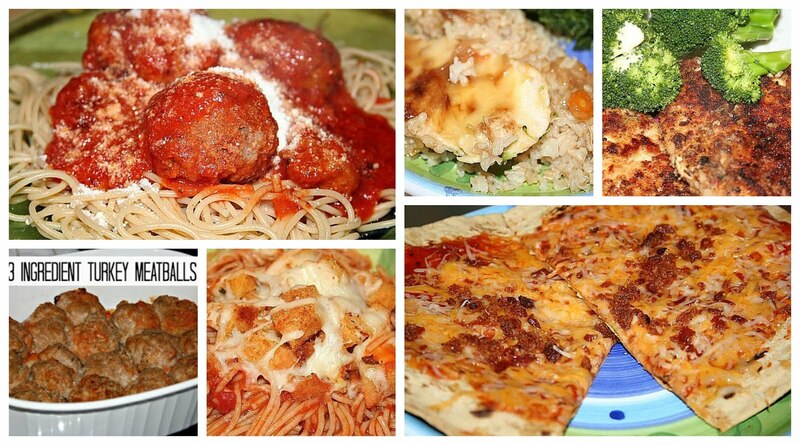 You deserve to look awesome if that's what you're eating these days. With summer approaching, I'll amp up my nonexistent running program, and I will stick to blueberries, sweet pototaoes and ice cream. Kale is for the birds. Literally. I wanted to share for all my Disney families out there. After all, I'm here to help. 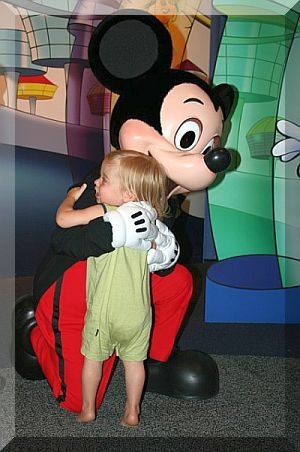 Disney loves to entice families to brave the Orlando summer heat by offering excellent deals June through mid-August. While it's not free dining (boo! ), here is the latest and greatest from Disney World. If you book through Destinations in Florida before 4/12, you will receive a free autograph book OR lanyard for every child in your family. Zip a dee doo dah! Add tickets to make it a package and save even more, when you add a minimum 4 day Magic Your Way Ticket. Don't delay this is a very limited Summer offer! Happy belated Easter to all. The sun is shining bright and we've cracked 45 degrees here in New York State. Ah, the sun on my face has felt extraordinary. Today, I'm shipping out a few boxes to a wonderful friend. For the past decade, four women (myself, my sister-in-law, one of my best friends from childhood and her very dear older sister) have traded and saved all of our maternity clothes. This tradition began after I had my oldest two munchkins, and my sister-in-law was pregnant with her first. I packed up all my maternity clothes (as friends do) and sent them her way. What happened next was the beginning of a fabulous, economical system of clothes rotation. She added to my clothes, and when one of my best friends from childhood got pregnant, we sent them to her. She then added what she bought to the bins, and sent them back to me. When her sister got pregnant with her first, we sent the bins to her. Then they went back to my sister-in-law. And then back to my friend, and then me, and, well, you get the idea. What we have now is bags and bags of maternity clothes. With all the trading and saving, anytime one of us gets pregnant whoever had the bins of maternity wear last must pass them on. Last night, I went through four large bags of "the clothes" in preparation to send them off today to the latest expecting mom. For the record, it is NOT me or my sister-in-law. I weeded out anything with stains, anything that was discolored or fraying, and anything that was so old it looked like a rag (we've been trading for over ten years now). What is left is two large bags of fabulous tanks, tops, jeans, swimsuits and dresses. Today, these goodies ship out and the tradition of "the clothes" continues. Happy Monday. Happy Spring. Happy everything to everyone reading. Much love to you!